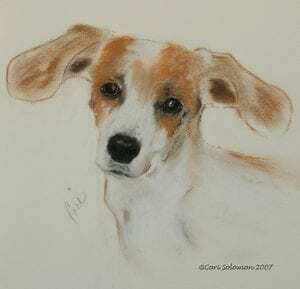 This pastel drawing was inspired by a dog named Tess’ helicopter ears. I love when dogs ears look like they are going to take off at any moment. To purchase this dog art drawing email Cori.